As revealed at Comic-Con, New York this year, Capcom is planning on bringing some previously Japan-only Virtual Console titles to the West and, if all goes well, we will be tucking into some retro classics this Winter. 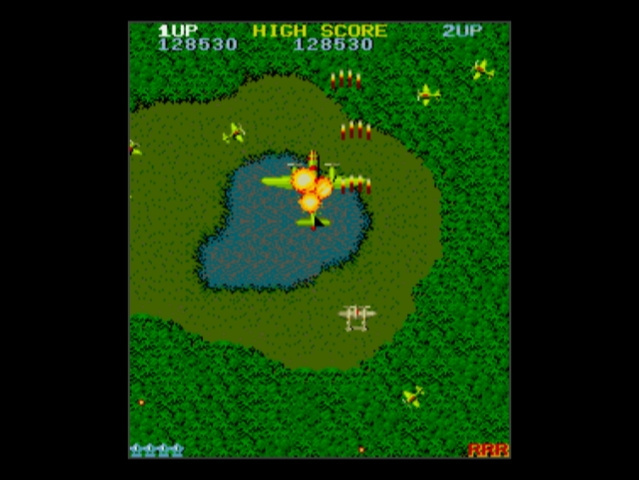 1942 – This classic vertically-scrolling shoot 'em up is perhaps Capcom's finest moment in the pre-Street Fighter era. Spawning a million clones and re-appearing throughout the history of gaming, 1942's biplane action needs no introduction. And now, for the first time on the Wii, the original and best version. 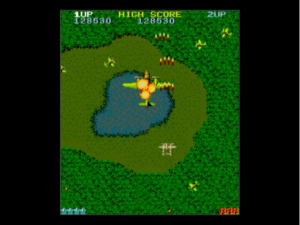 Black Tiger – Fight your way through colorful, action-packed levels in this 1987 arcade classic. Explore huge, sprawling levels as a powerful barbarian, seeking to defeat menacing bosses. Plus, upgrade your character with one of the first inventory and power-up systems ever built. 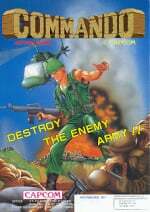 Commando: Wolf of the Battlefield – Experience the Capcom arcade game that spawned a multitude of clones as the original Commando comes to your living room courtesy of the Virtual Console Arcade. Take control of Super Joe and shoot your way—in all eight directions—towards the enemy's territory, using grenades to wreak havoc with enemy placements in this seminal genre creator. EXED EXES – A retro classic from Capcom's arcade line-up in 1985, Exed Exes is a vertically-scrolling shooter that's sure to bring back fond memories. Dodge bullets! Collect fruit! 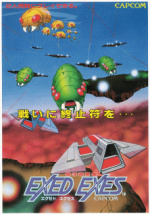 And go for high scores in the most furious sci-fi insectoid shoot 'em up ever made. 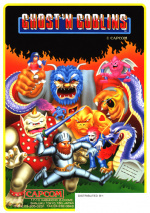 Ghosts ’n Goblins – Ghosts ‘n Goblins is a classic game that packs a heavy punch (and lance). Experience the smash arcade hit from 1985 as you help Arthur defeat hordes of monsters in his attempt to rescue the princess. The first (and possibly only) game in which taking a hit reduces you to your underwear. 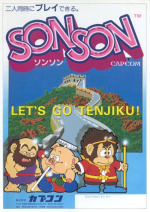 SONSON – Experience the original adventures of the Monkey King in this action-packed side scrolling adventure. Rapidly switch between different levels of play to shoot dangerous enemies in the face! A truly original concept, this quirky, old skool arcade classic has been a rare find in the west since its arcade debut in 1984. Until now! It's not known in what order the titles will launch on the Wii Shop Channel, but keep checking back with Nintendo Life and in the meantime, be sure to visit the official Capcom Arcade Classics Facebook page for tidbits, screenshots and videos. Oh heck yes. Finally some awesome VC Arcade support! I would recomend people just getting the Capcom Classics Collection Volume 1 and or 2 if they can. You'll be getting a much better deal if you plan on getting a few of these or others. Anyway, these games are great no matter how you get or play them. Ahhh... Those are some of the same games they've got in the Capcom Arcade App. That has 1942, Commando, Ghosts n'Goblins and Street Fighter II. They charge $3 per game there, so on WiiWare it'll probably be 500 points per, considering all previous iPhone to WiiWare ports. For some reason, in the past, I always read the nomenclature as Exed Eyes. Just give me 1942 and I'll be happy. "previously Japan-only Virtual Consoles titles"
I highly doubt 1942 is or ever will be on Japan's VC, seeing as it was never originally released in Japan due to the very good reason that you fight against the Japanese in that game. SON SON! Exed Exes! Black Tiger!! WOW! So glad it's not just Streetfighter 2 and Final Fight and all the predictable ones....these releases I can get behind. I'm totally getting Commando, Black Tiger, and 1942. Might even get Exed Exes, too, though it looks a little too repetitive. Ghosts ’n Goblins is on my list! Not only did it originally get released in Japan, but it was confirmed as coming to the Japanese VC a few months ago. Great support for VCA! Bring 'em on, Capcom! I'l definitely pick Ghosts 'n Goblins. Another great title for masochists. hmm... I've heard this plenty of times, but WHEN are we getting these!? You'll get an actual date when they announce an actual date, which will probably be during the month of release in PAL, and never in NA. I know that one does, but maybe the whole series as well? Anyway, I just felt like informing y'all! Not to be picky, but these are some very underwhelming titles. @Banana_Jane - true, but the compilations were never released on Nintendo consoles. Not everyone owns a PlayStation 2, a PSP, or an XBox. Does this mean we'll be getting Street Fighter II x 5 again? 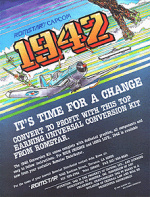 Oh jeez, 1942 is just one year off from my favorite arcade game of all time. I might get this one, but if Capcom releases 1943 I'll probably never need to buy another game again. I really excited about getting Ghosts 'n Goblins. Hopefully, the arcade version of Ghouls 'n Ghosts will be next. Maximo is a spin-off of the Ghosts 'n' Ghouls series. Sounds awesome, but I better not get my hopes up until they are actually released [considering the VC is almost completely dead]. I find it hard to get excited about upcoming VC games when so many keep getting rated but they hardly ever get released anymore. We'll probably be waiting three months to get even one of these games. Surprised they announce 1942 but not 1943 as well. i already have these on classic collections. SonSon and Black Tiger look awesome, I'm for sure getting at least one of them. "Keeping the download service strong"
I have to say, I'd much rather 1942 came out on the 360. I know there's an "enhanced" version there, but I mean the original. I've got an HRAP EX-SE stick for the 360 that I'd sorely like to use with this game. There's nothing like that stick for the Wii. Sigh. 1942, the arcade Ghost N Goblins (got an axe to grind in that one), Black Tiger, and Son Son for me. SonSon is all right, but I prefer Pirate Ship Higemaru. 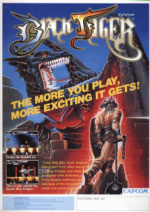 Meh, the only game I could see myself getting is Black Tiger. And I would probably get the PS2 collections before downloading any of these. Still though, its nice to see SOMEBODY supporting the VC with some arcade games.